This image was taken on the Japanese island of Hokkaido. 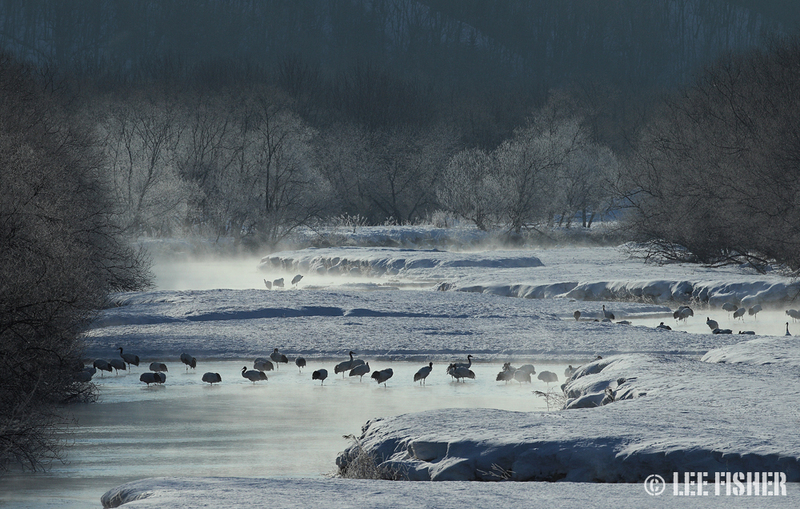 Red crowned cranes roost in the river and as the sun rises the mist ascends from the water. As it rises it freezes to the trees and when cold enough can change the scene to a magical white and blue.